The video pretty much says it all. Blake and I ended up watching Sense8 after a long, long trip to the Steak & Shake, which has really cheap food, and really slow service (but I still recommend it). 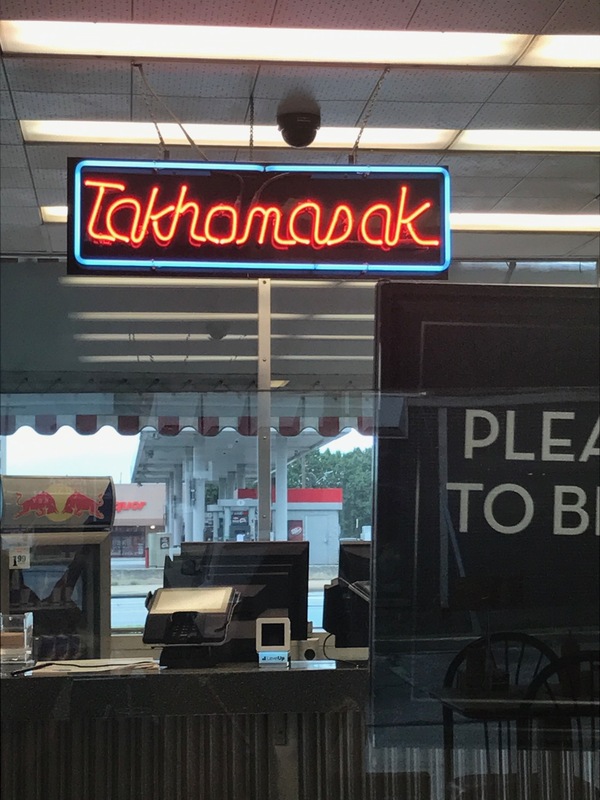 As we are here teaching English to language learners, we were both bothered by this sign… apparently it means that you can “Take home a sack.” Get it? Neither did we. But these signs were all over both outside and inside the restaurant. While watching Sense8 and getting ready for our first lessons, I intermittently checked outside to see if there were any fireworks. 9 p.m.? Nope. 9:30? Nope. 9:45? We thought we heard something. 10? A flash in the distant sky. Then, after I went to bed, I heard someone shoot off something near the apartment. But for the most part, it was a silent, flash-free evening, and this was strange. 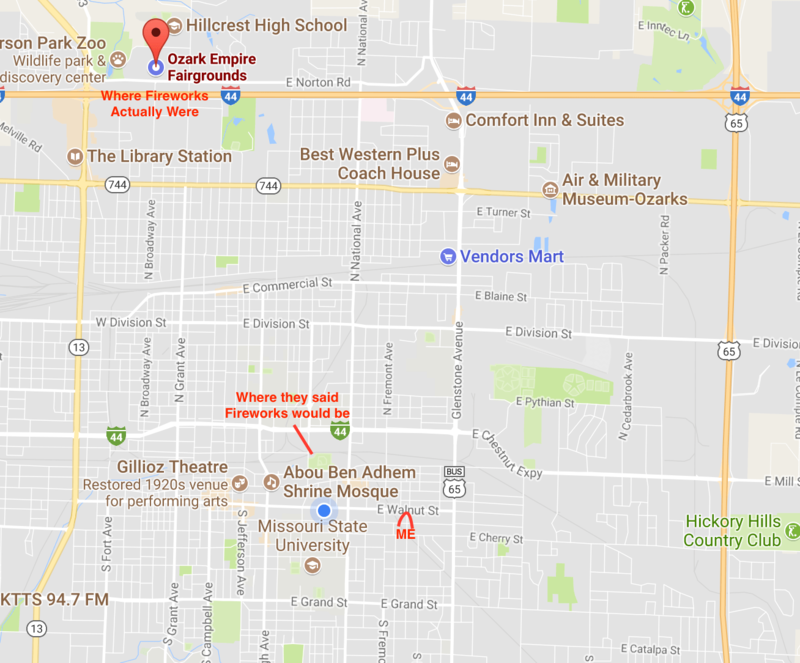 But, the fireworks were not at Hammon’s Field as we were told they would be, but rather 5 miles away at some other location, and, apparently, sponsored by a church rather than the city of Springfield. Times must be tough down here? Or maybe it’s a good thing? year, I also spent the 4th in Missouri up at the Lake of the Ozarks with the family. 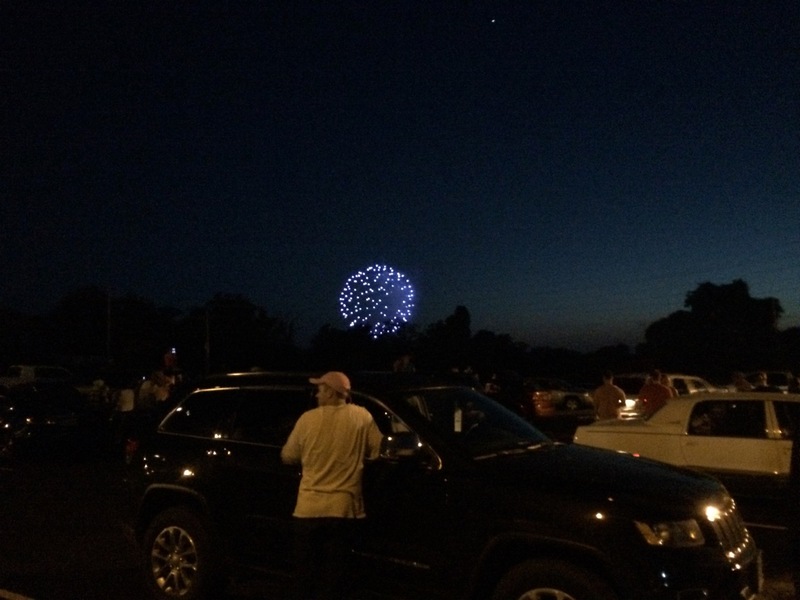 We drove out to a secluded spot above some small town to watch them perform their less-than-mediocre fireworks. Then we shot off some of our own, apparently illegally. 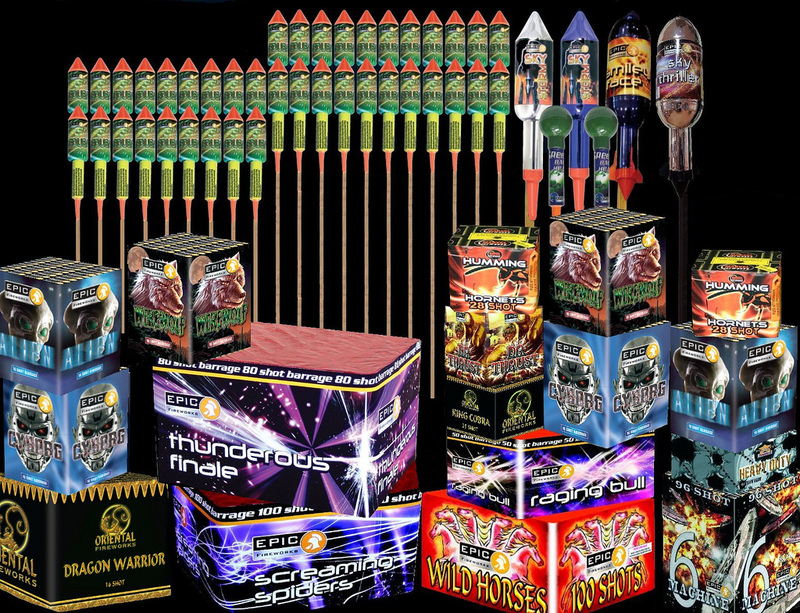 I find it so strange that the state that Nebraskans drive to to buy illegal fireworks seems to no embrace their own passion for incendiary entertainment. It’s like if you went to Colorado and found no potheads or something. Blake, my roommate, said that holidays all lose their significance after you grow older. He, at age 24, is already feeling that Christmas just isn’t what it used to be. So if there is a steady decline in the joy we feel at each holiday, what keeps them going? What is the spirit of the holiday? Is it all about children and seeing them get excited for the first time at something we used to get excited for? Is it all a perfunctory response to stimuli… we are supposed to celebrate this thing, and so we do, kind of automatons going through the motions of the celebration without actually engaging? I know that I’ve felt that way before. After mom died, Christmas lost most of its meaning for me. I felt like an impartial observer at our family celebration, stepping back from the fray and watching us go through the motions. What used to seem spontaneous, now felt scheduled and mandatory. What used to be fun and loud with lots of engagement, now seemed like just one more thing we had to do together. Getting to the next thing. Is this a postmodern phenomenon? This idea of “let’s just do this now so that we can do whatever is next” seems to be pervasive. I remember asking my students as they started gathering up before the bell rang, “What are you so excited to get to?” They had no answer. It was just instinct or learned behavior to anticipate the ringing of the bell signifying a change, and therefore, getting ready to go! I find myself counting down the time it will take to get from one thing to the next. I have 21 days left in the United States. I have 40 minutes of teaching. I have to be at the school until 4 p.m. And then, when I have free time, I am still thinking about whatever is going to happen next. This is, what I might call, anti-mindfulness. And despite my efforts to be mindful and aware of what I am doing right now, I still find myself making mental to do lists, and watching the clock for the next symbol that will lead to whatever is next. I always feel more alive when I am busy and active. Time flies by when you are completely engaged in the moment. It is only when you are waiting for the next thing that time seems to slow down and stall. So last night, waiting for the fireworks that never came, I felt like time was at a virtual standstill. Even while watching Sense8, the clock was reluctant to tick. And after I finally decided there was nothing to wait for anymore, my anticipation for my first CELTA lesson the next morning had my mind occupied, and made sleep difficult. The big question, I guess, is what are the meaningful moments? What are the landmark events that we are waiting for and actually paying attention to when they happen? 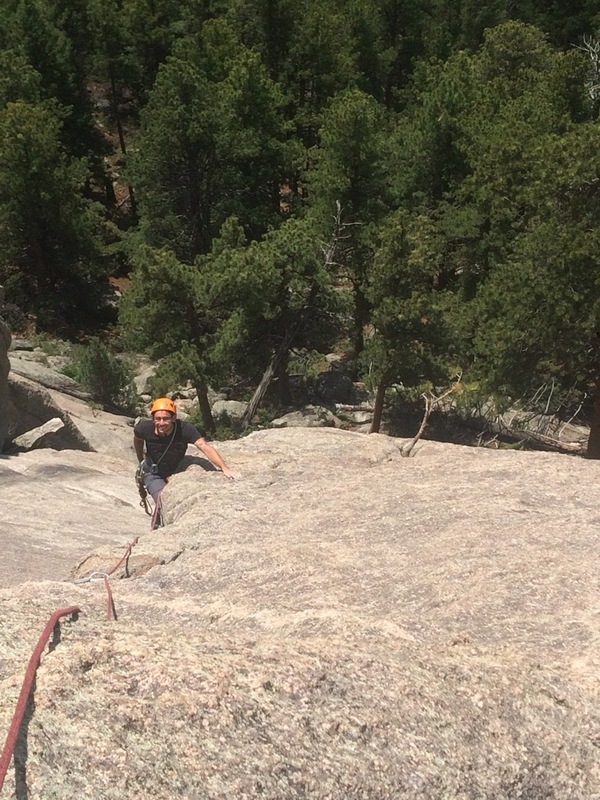 Recently, for me, rock climbing in Colorado was a mindful, purposeful event that I was aware of in the moment without thinking about much else. Our guide, Mike, even pointed out that’s what he loved about climbing. When you are clinging to a rock 200 feet above the ground, your mind is totally and absolutely focused on that moment and nothing else. What are the societal norms or rules for paying attention in the moment? Between smart phones, televisions, and other distractions, it seems that our limit for focused time is extremely limited. How does one pay attention in a world that seems to chip away at our attention span over and over again?